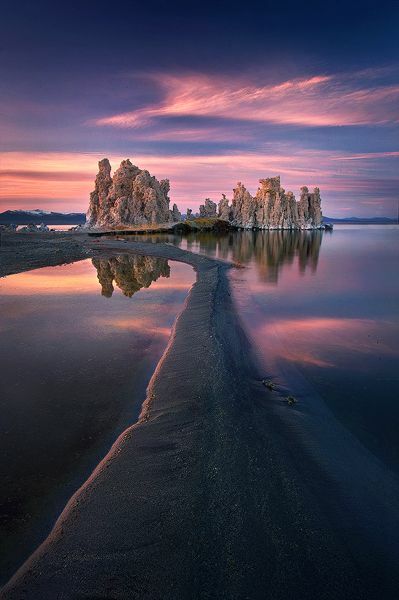 Mono Lake is a large, shallow saline soda lake in Mono County, California, formed at least 760,000 years ago as a terminal lake in a basin that has no outlet to the ocean. The lack of an outlet causes high levels of salts to accumulate in the lake. These salts also make the lake water alkaline.